Egodi Uchendu is a Professor of History in the Department of History and International Studies. Her researches revolve around gender—precisely women’s history and masculinities studies, people and conflict situations, African historiography and religious conversions mainly conversions to Islam. She teaches both undergraduate and graduate programmes and has worked on different research programmes on gender issues, conflict situations and religious conversions. 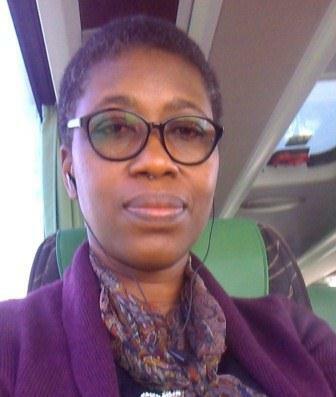 She has published papers in several international journals and has been awarded a number of research grants from major funding bodies: the United States Fulbright Foreign Scholarship Board, Leventis Research Cooperation Programme and the A. G. Leventis Foundation respectively, CODERSIA, Alexander von Humboldt Foundation and National (Nigerian) Universities Commission. She has also served on a number of boards, grant-selection committees and as transnational assessor for a variety of academic awards and non-academic matters; a former Vice President of the Fulbright Alumni Association of Nigeria (2010-2014), member of the Presidential Committee for the Review of Nigerian National Defence Policy (2014–2015), a serving Vice President of the Historical Society of Nigeria, current Editor of the Journal of the Historical Society of Nigeria, African Collaborative Member of the Centre of African Studies, University of Cambridge, UK (2014-2019) and member, Gesellschaft zur Foerderung des ZMO e.V. (Association for the Advancement of the Centre for Modern Oriental Studies (Berlin). She is currently leading the African Humanities Research and Development Circle (AHRDC), an institution-based research group at the University of Nigeria.